You'll enjoy a bit of beach vacationing at Manly Beach and Clovelly Beach. Get in touch with nature at Dolphin & Whale Watching and Nature & Wildlife Tours. Get out of town with these interesting Sydney side-trips: Blue Mountains National Park (Lincoln's Rock, Pulpit Rock Lookout, & more), Shelly Beach (in Manly) and Coachwood Glen Nature Trail (in Megalong Valley). 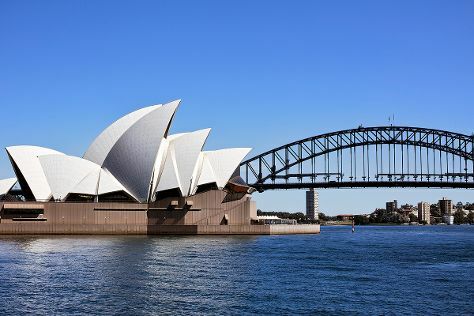 There's much more to do: examine the collection at Australian National Maritime Museum, admire the masterpieces at Norman Lindsay Gallery & Museum, admire the natural beauty at Royal Botanic Garden Sydney, and wander the streets of Darling Harbour. To find traveler tips, other places to visit, ratings, and more tourist information, go to the Sydney itinerary planning app . If you are flying in from United Kingdom, the closest major airport is Sydney Kingsford Smith International Airport. In June, daily temperatures in Sydney can reach 21°C, while at night they dip to 11°C. Finish up your sightseeing early on the 1st (Mon) so you can travel back home.